Has your residential home or commercial business become over fun by unwanted trash? then you need to hire a skip bin. 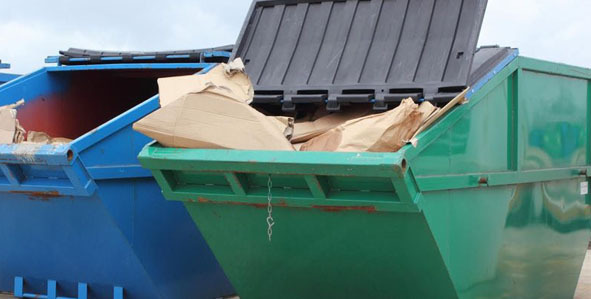 We offer one of the best mobile skip bin services in Bendigo and believe in ensuring that you are able to dispose of any materials, waste and rubbish that you may have lying around, crowding up your environment. No matter what type of material it is, hard waste, green waste such as lawn trimming, branches or even electrical goods like broken fridges, electronics, microwaves, it doesn’t matter, we can take it all. Give us a call today to see what type of service we can provide for you. We know that from time to time to time, you may find it far easier to just pile all of your rubbish or things you don’t use anymore into a shed or garage, but what happens when you run out of room? you don’t want the rubbish overtaking an area that you could be using. We can come to your premises and have a skip dropped off that will be able to fit any type of materials you have clogging up precious space. What type of material can we put in a skip bin? we take almost everything including paper, glass, boxes, tyres, aluminum, plastic, timber, bricks, rocks, clothing, toys, fabrics, paints and dangerous chemicals. When it comes to cost, we know that a lot of other companies will charge an arm and a leg just to rent one of their products, but we want to be different. We have a wide variety of sized bins and when you tell us what type of waste you have, and roughly how much, we will work hard to ensure you get a size that will fit everything without trying to up sell you a bigger one just to make a bit more money. While different sized waste bins will vary in price, one thing we can guarantee is that we will provide you with the most competitive prices as well and making sure you receive the upmost professionalism and best rated customer service. where can we remove unwanted waste from? Almost anywhere. We always want the customer to be able to get rid of unwanted junk at any time that is convenient to them, which is why we make it our duty to be able to get into harder to reach places that most wont. Do you have a home or business which has a pile of trash in a hard to reach area, that okay, we will walk to get the hard rubbish if we have to. If you have an easy to reach area, we will drop the bin in the driveway, or as close to the materials as possible, so it will be far more convenient and easier to manage for you. If you have a work site or construction that is littered with building waste and materials, then that can become a very dangerous situation, which is why you will need to have it removed ASAP. We have a large variety of products that will be able to suit any needs you may have. Anything from concrete, metal, pipes, bricks, steel, wires or what ever it may be can be put into our bins and be taken away to be disposed off in the most environmentally friendly way, and 90% of the time the materials will be recycled for future use.